Understanding that social enterprises are very effective at creating jobs for people with barriers to employment, our members asked for the creation of a Manitoba Social Enterprise Strategy. Budget 2014 committed the Province to "work with social enterprises to create a comprehensive strategy to grow the sector and create more first jobs." This is a significant achievement, and we look forward to working with the Province to make this an effective, visionary, and results-focused strategy. Seeking to improve the existing provincial CED Tax Credit to enhance the ability of community owned businesses such as co-operatives to raise equity capital, our members asked for the tax credit to be increased from 30% to 35%. Budget 2014 (effective in 2015) extends the tax credit to 2020, increases the tax credit to 45%, raises annual individual investment limits from $30,000 to 60,000, raises equity drive limits from $1 million to $3 million, makes the tax credit fully refundable, and enables the participation of Manitoba businesses. As co-operatives are a very effective community economic development model, our members asked for the renewal of a 5-year co-operative development strategy. Budget 2014 renewed funding for the strategy for one year, during which time evaluation and planning for a longer term strategy will occur. Minister Howard's speech highlighted a commitment to "invest in Youth Co-operative Services, an innovative program that helps young people set up co-op businesses." Manitobans want to work, yet many face barriers to employment. 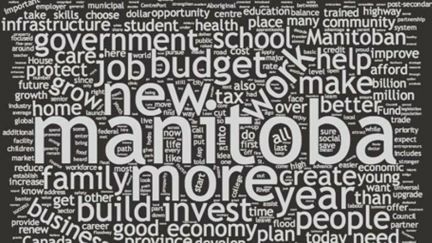 Creating appropriate training and employment opportunities is essential if the Province hopes to reduce poverty and achieve its ambitious goal of expanding Manitoba's workforce by 75,000 people by 2020. 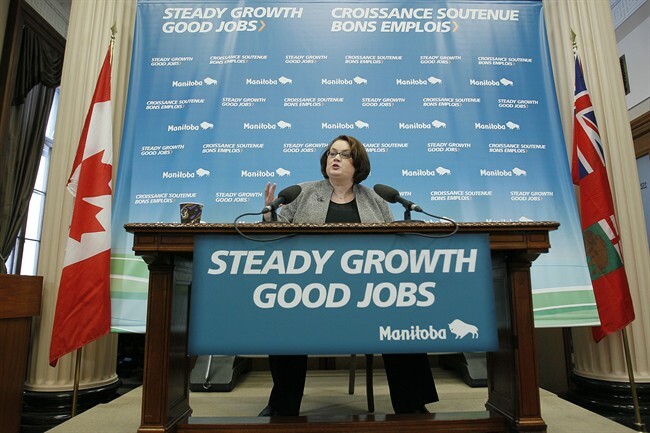 Budget 2014 invests $3 million over 3 years in "Manitoba Works! - a new program with community agencies to provide essential skills training and work experience to people who face many barriers to a good job." Gateway to Apprenticeship was also announced as an initiative that will partner with community-based training providers to "develop skills in the trades for youth and under-employed populations, create apprenticeship opportunities for Aboriginal persons and women, and launch new trade initiatives specific to Aboriginal and community economic development," with an objective of ensuring that these trainees will then benefit from the opportunities and jobs created by the recently announced $5.5 billion 5-year infrastructure plan. Budget 2014 also establishes "a first-in-Manitoba post-secondary program for persons with intellectual disabilities at Red River College [to] increase our workforce and build on our historic new Accessibility for Manitobans Act," something that CCEDNet members successfully supported as a policy priority in 2013. Many of our members will also be pleased to see a commitment to "more Green Teams - over 1400 jobs for young people this summer [and] new summer skilled trades camps [that] will help students have fun while learning hands-on about a future career." Knowing that many of the people do not receive enough income to meet their basic needs, our members mobilized multi-sector support from 150 organizations in asking the Province to raise the rental allowance to 75% of median market rent. Budget 2014 stated that the Province "will significantly increase housing support for people on social assistance...to 75% of median market rent." This is a huge win for people living in poverty, and for the organizations that mobilized to create this important change. While the increase will happen over four years rather than in one, the new approach reaches more people (meaning that some not even eligible before will now be covered) and will be indexed to rising costs over the coming years. In that way it is an even better response than our members had been asking for. CCPA - Manitoba notes that "these changes are huge and will impact 15,550 EIA recipients who live in private market housing as well as thousands of working poor who are eligible to receive rent supplements." Manitoba has a housing crisis. In order to create stability for families and communities, and provide the safe base from which to pursue education and employment opportunities, our members identified that more social and affordable housing units were critical to our mission. Budget 2014 notes that the Province "will finish our current plan to develop 1500 more affordable housing units and support 1500 more social housing units. And this year, work will begin on an additional 1000 social and affordable housing units over the next three years." Much more is needed, particularly from other levels of government, but this continued investment will support the work and priorities of many CCEDNet members. CCEDNet - Manitoba's members also understand that access to affordable child care is essential for the ability of parents to pursue education and employment opportunities, and called for the creation of more spaces, increased funding for operations, and greater investment in training. Budget 2014 commits to "$5.5 million for new child-care spaces and better funding for centres" and commits to "launch[ing] a new multi-year plan that will build and expand more child-care centres, create thousands of new spaces and provide higher wages and additional training for more child-care professionals." Knowing that food is such an essential ingredient in our lives, our members asked for action to increase access to healthy food and action to strengthen the local, sustainable food economy. Budget 2014 invests $1.25 million to enable "communities to produce healthy foods locally . . . [and] help make healthy foods, including milk, more affordable in Manitoba's most remote communities" and $450,000 for "child nutrition programming for students in low-income schools." Budget 2014 also continues the 2 year commitment made in 2013 to support institutional procurement of food from local and sustainable producers. CCEDNet will continue to work with the province to build on these initiatives, with the creation of a Manitoba Food Policy Council a potential focus. Continuing support for many CED organizations, Budget 2014 investment in the Neighbourhood Support component of Neighbourhoods Alive! remains stable at $5.28 million, and the Winnipeg Regeneration Strategy is also maintained at $3.4 million. Support our work by becoming a member of the Canadian CED Network today!